Olia Hercules was born in the south of Ukraine in 1984. She left her home town Kakhovka at the age of twelve, when she moved to Cyprus. After finishing school, she moved to the UK where she studied Italian language and International Relations at the University of Warwick. After spending a year in Italy, Olia settled in London, pursuing a journalistic career after completing her Master’s degree. Following the financial crisis of 2008, Olia decided to quit her job as a film business reporter to pursue her dream to cook for a living. She trained at the renowned Leiths School of Food and Wine and then worked as a chef de partie in restaurants, including Ottolenghi, and as a recipe developer before landing a book deal for Mamushka, a cookbook that celebrates her family recipes, from Ukraine and Moldova to Azerbaijan and Uzbekistan. 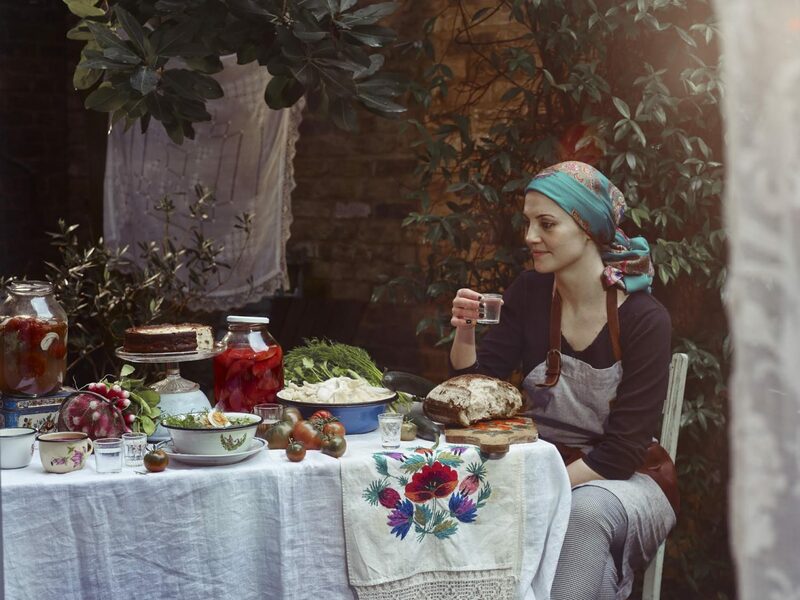 Mamushka has won the prestigious Fortnum and Mason Award for best debut cookbook 2016.It has been translated into five languages, and to date has sold over 100,000 copies worldwide. Olia was named the Observer Rising Star of 2015. Her second cookbook is called Kaukasis: a culinary journey through Georgia, Azerbaijan and beyond. It was published on August 10th in the UK and Australia and in October 2017 in the US, Canada, Germany and Poland. She is currently working on her third cookbook, Summer Kitchen, with Bloomsbury. It will be published in spring 2020. Olia lives in London with her son Sasha and husband Joe, writing, cooking and feeding her unceasing curiosity by researching food culture and culinary traditions of countries less explored.